“We know you have cancer, but we can’t find it,” the doctors told William “Bill” Dillard during the early months of 2014. After five prostate cancer biopsies producing the same, inconclusive results and with his PSA level continuing to rise, Dillard’s urologist recommended he undergo an emerging technique, MRI-targeted prostate biopsy, available nearby at Duke Cancer Institute. According to the American Cancer Society, more than 160,000 men are diagnosed with prostate cancer each year. Typically, their journey begins with a prostate-specific antigen (PSA) test. If elevated levels of PSA are detected in the blood, the next step is a digital rectal exam, followed by a biopsy to confirm the cancer. In August 2014, Dillard scheduled an appointment to undergo an MRI-guided biopsy at Duke. This advanced imaging biopsy combines precise MRI images, which can detect cancerous masses, with an ultrasound. The procedure allows physicians to also differentiate aggressive from non-aggressive prostate cancer. After completing the MRI-guided biopsy, Dillard was diagnosed with prostate cancer. Armed with a conclusive diagnosis, Dillard scheduled a prostatectomy as the first line of treatment. Two months after the surgery, Dillard was declared cancer-free. Dillard, a self-described “workaholic,” was ready to return to his busy lifestyle, which included tending to his farm animals, running his family construction company and performing with his band. However, a few months later Dillard began experiencing urinary incontinence (the accidental loss of urine or leaking). Knowing this was a common side effect of treatment for prostate cancer, Dillard hoped his incontinence would only last for a short time. 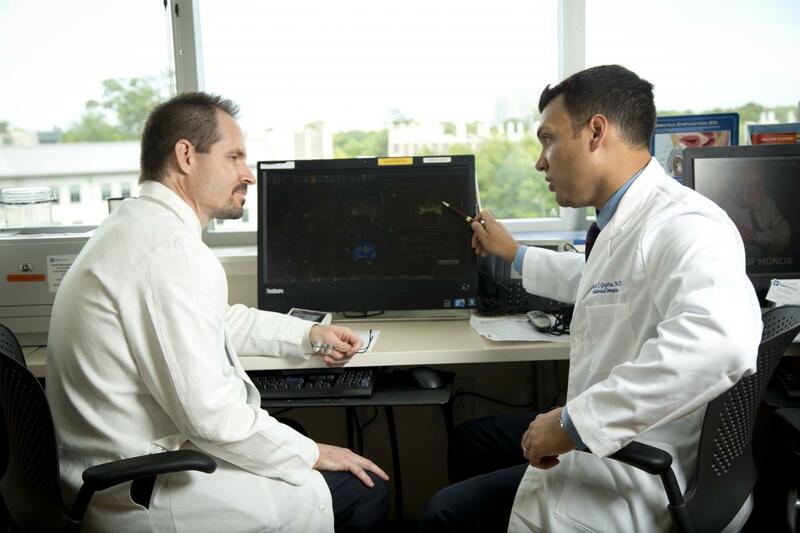 Hoping to provide a solution for his incontinence, Dillard’s local urologist referred him to Aaron Lentz, MD, a reconstructive urologic surgeon at Duke Urology Men’s Health Center in Raleigh. Dillard met with Lentz to learn about the surgical options available to treat his condition. They ultimately decided to treat Dillard’s incontinence with an Advance Male Sling, a procedure that elevates and supports the urethra to maximize function of the patient’s sphincter muscle. In 80 percent of patients, urinary incontinence only lasts for a short time. Eventually, the muscles that control the passing of urine get strong enough to control urination again. In about 20 percent of patients, incontinence is a long-term side effect of cancer treatment. However, with proper medical care, even this long-term urinary incontinence can be cured or significantly improved.